Wireless Temperature Monitoring Solutions from SensoScientific Inc.
CFR21 Part 11 compliant Prducts from SensoScientific, Inc. are fast becoming industry leader in pushing the boundaries of detection technology. 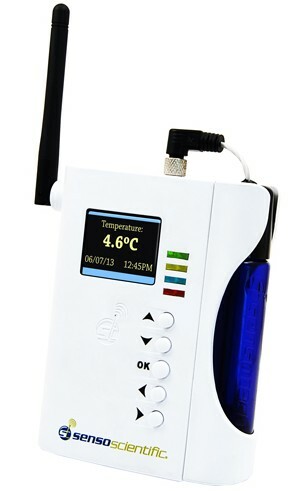 With the release of newest WIFI product line we are introducing not only a State of the Art Web-embedded WIFI platform technology, that provides for precise measurement and data logging of temperature and humidity, plus we have raised the bar to allow our clients to measure ANY process or condition with a highly accurate WIFI transmitter. This allows access to your data from any web browser in the world, all without the need for costly stand-alone computers and proprietary software. This breakthrough changes everything—the resource-constrained IT department can be the secondary line of support, and our embedded technology allows for full control of the data, since data and transmitters reside within your own network. Taking full advantage of outsourcing benefits without outsourcing! This will enable your valuable resources to concentrate on the company’s core business. The system is highly scalable, from a small, single facility, like state and Districe health departments, to multi-location medical facilities, Hospitals and institutions. The system is highly accurate, and can monitor temperatures down to -200º C. With its advance notification services it automatically, and immediately, sends SMS, Voice & Data, Email or Text message alerts to any number of necessary personnel in the case of a temperature failure, and fully documents the user through the corrective action necessary to meet regulatory and audit requirements. 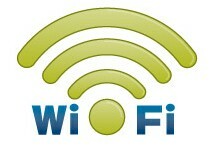 They are battery-powered 2.4GHz IEEE 802.11b/g radio transmitters. Mobile devices such as smart phones and tablets are quickly supplanting the PC as the tool of choice for business workers--worldwide sales of smart phones are expected to pass PC sales by 2012. Device independence. Finally, here's the ultimate computing advantage: You're no longer attached to a single computer or network. Change computers, and your existing applications and documents follow you through. Move to a portable device, and your apps and docs are still available. There's no need to buy a special version of a program for a particular device, or to save your document in a device-specific format. 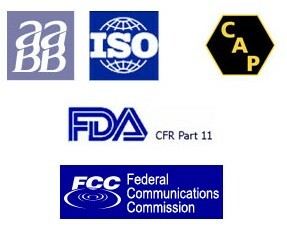 SensoScientific understands how real-time remote wireless sensing and measurement can assist organizations where FDA Code of Federal Regulations (CFR part 11), USDA, the Joint Commission, USP 797, HACCP, and ISO17025 compliance is a major concern. SensoScientific products were designed to simplify conformity with these standards and meet or exceed all the above regulatory requirements. 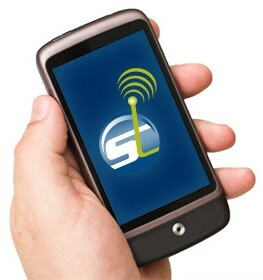 SensoScientific is a FCC compliant and Hospital Approved Wireless system.